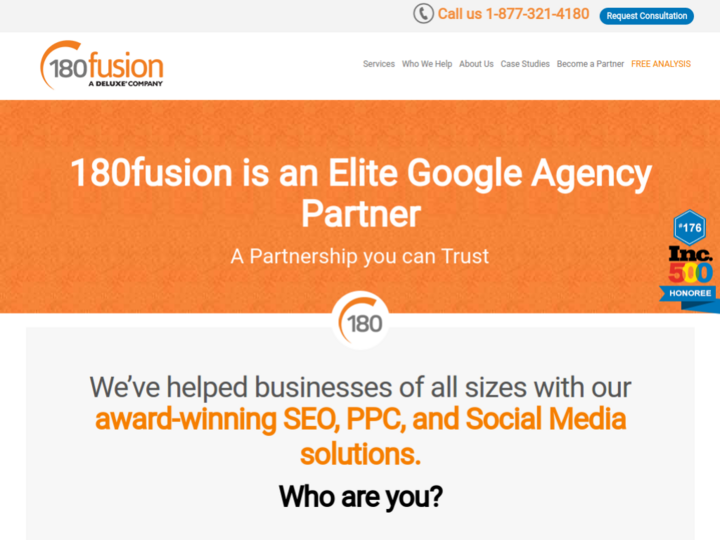 180fusion is one of the fastest growing companies in the Advertising and Marketing industry which is headquartered in California with the Center of Excellence in Utah. The company was awarded as “Top 100 Best Places to Work” by Inc. Magazine 500 Fastest Growing Private Companies in America. The team of the company is featured with seasoned software and internet executives providing digital marketing products and services to thousands of clients across the globe. With the integrated services of SEM and SEO; you are benefited with the solutions of PPC Management, Social Media Marketing and Mobile Search. The successful search engine marketing campaigns are always ready to help thousands of clients by increasing sales in their business ways.